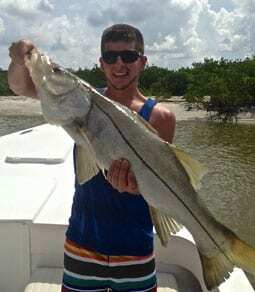 While you are out on the majestic waterways of SW Florida, you are undoubtedly looking for keepers. 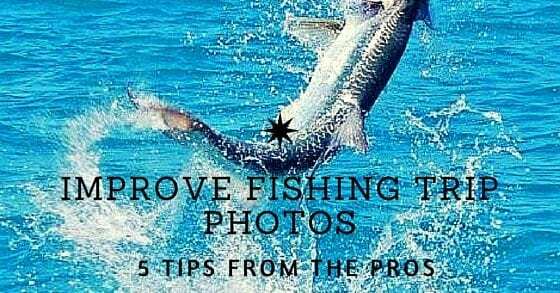 But, how can you take fishing trip photos that are keepers, as well? We have collected our top five tips based on our experience and advice from other fishing guides that will guarantee that your fishing trip photos will back up your notorious fishing stories. All too often we see amazing shots of the angler proudly holding their catch, but a rod is included in the photo and appears to be coming out of the person’s head. Including the rod in the photo is nice to show what tackle was used for the catch, but make sure that the rod is not distracting from the main point of fishing trip photos- the fish. Whether you are using a Nikon or Canon or the camera on your iPhone, don’t be afraid to use the zoom feature for fishing trip photos. Take advantage of opportunities to capture your catch, even before you land it on the boat. While your fishing buddy is fighting that monster tarpon, you can be capturing every leap during the struggle up close by zooming in. 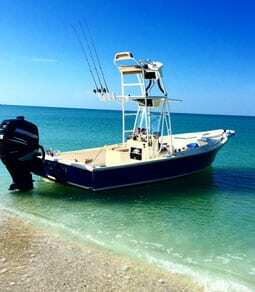 If you are new to fishing our SW Florida waterways, you may want to include some background scenery along with your amazing catch. The rule of thirds can keep your fishing trip photos well composed and memorable by including scenery from the exact location of the catch. After the struggle, anglers typically go for the “grip and grin” pose where the prize catch is held while a big grin fills the angler’s face with pride. If your fishing trip is scheduled for the morning hours, the sun may be perfectly positioned for the perfect fishing trip photo. But, the fish do not always bite at the best times for photos. If you are positioned with the sun behind the angler, try using the flash on your camera to balance the brightness of the sun. Another benefit to this positioning is that it avoids squinting. Once you have already caught the fish, now it is time to catch him twice. Using aperture priority on your camera will allow you to stop the action and capture more detail. Adjusting your camera to aperture priority, typically displayed with an “A,” allows the camera to match the amount of light with the shutter speed. This adjustment is ideal when trying to stop the movement of the fish during the struggle. Nothing is worse than experiencing the disappointing realization that our fishing trip photos did not turn out as planned. Follow these simple tips and ensure that the memories of your trip last a lifetime.